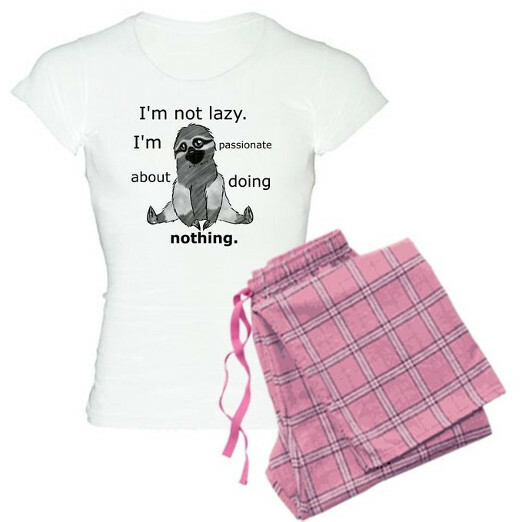 This perfect little sloth get up is simple, comfy, and easy on the eyes! The shirt stays the same, but you can choose from multiple styles of shorts in all sorts of different colors. 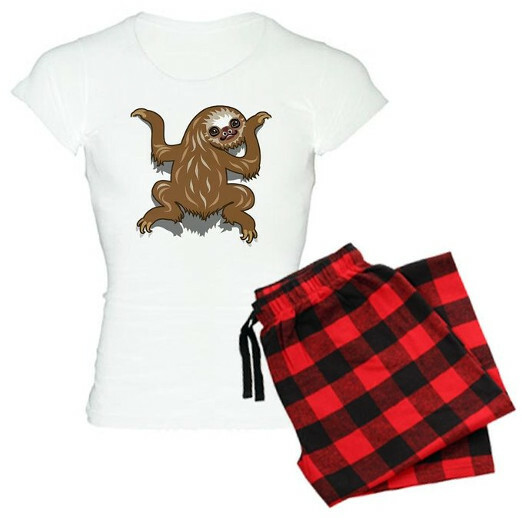 These sloth pajamas are extremely comfy and they are perfect for slothing out in bed or on the couch! If black is more your style then these pj’s are for you! Again, the pajama shorts you can choose from a wide range of styles and colors. The quirky sloth top will bring a smile to your face every time you put it on and will get you in the right mindset for drifting off to sleep! Funny and true! Deep down we all love to do nothing, why hide it and make it excuses? You need to embrace it with these cute sloth pajamas. You’re going to get bored of me repeating the same thing… But you can pick from any style and color of shorts that you want. 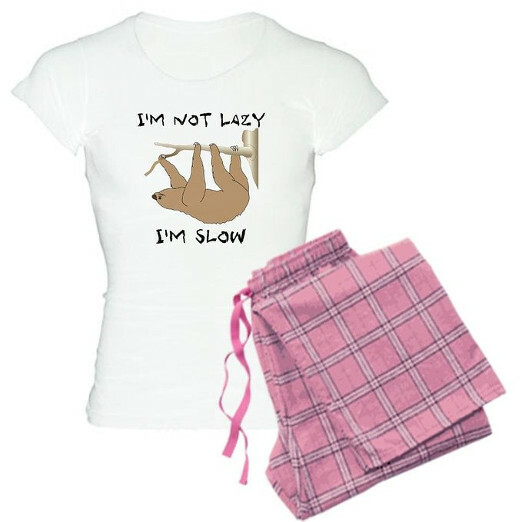 Keep calm and buy this sloth pajama set! If you followed the advice on this top for the rest of your life I can personally guarantee you will lead a fulfilling life. Oh and here’s something totally crazy that will blow your mind… You can get the shorts in any style or color you want! I know right! It’s about time we had a pajama set for the men! These men’s pajamas are funny and comfortable for a perfectly lazy sleep. Hopefully all you guys skipped the women’s pajamas and this information I am going to tell you is completely brand new: the sloth shorts you can choose your own style and color! Crazy, right? Another cute one for the ladies! 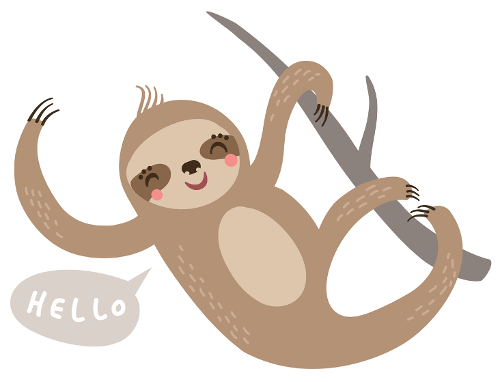 The sloth graphic is cute and it speaks to all of our inner sloths. 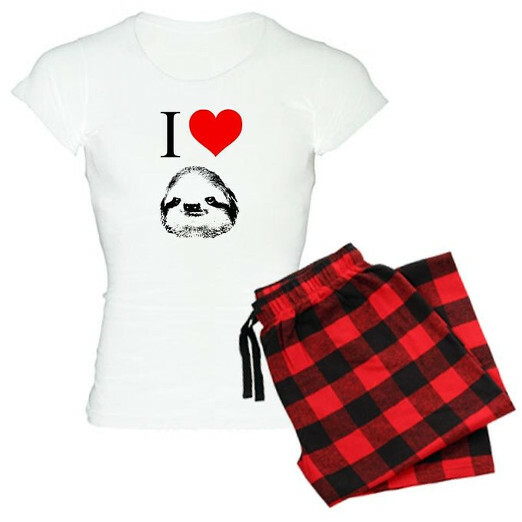 Become one with the sloth and get your hands on these pajamas! You can also get the shorts in any style or color that you want! What’s that? You didn’t know? Well now you do! When life gets you down, stick on these sloth jammies and just sloth it. What’s the point in life if you can’t just sloth it once in a while? Oh, and surprise surprise – the shorts come in a range of pretty patterns and colors! That brings our fantastic article to an end – we hope you found a set of pajamas that spoke to you and you will spend the rest of your life with. If you didn’t find a set, keep looking! Please send us more suggestions if you find them as well through our contact page! What is your perfect night in? Besides being snuggled up in sloth pajamas.